Ever wondered how they get those Hi-Hats to change pitch in Hip-Hop? Don’t Sleep on Studio One Impact! act is pretty kool. Some of the things I love to do is first drag samples from my hard drive or from the “Loop” section in Studio One browser on to any pad. Yup, just that simple. After I drag my samples over, I can route them to their own separate channel or track as either stereo or mono for further processing. So if I need to add a compressor or reverb specifically to that channel I have that option. I also love playing around with the pitch feature as shown in the video above. But somehow I’ve never managed to access the features located to the bottom of the plugin until this one particular song. My goal was to go after the ADSR (Attack, Decay, Sustain, and Release) type functions I’m use to when working in Battery 4 or Maschine Studio. I discovered the toggle feature that works like the on/ off or cut-off type deal. The only thing different here is that you have to actually play the note or the sound you wish to record followed by the same note to cut it off. Or you can just simply use your mouse to insert your ideas in the piano roll. Automating the pitch is a piece a cake. In the video I also talk briefly about how this works. Presonus has worked really hard to produce awesome tools and really easy to use. Studio One 3.2 Is Raising The Bar Once Again. Wondering what the big hype is about? We are too. Presonus has been working hard to release the next big update. We already register front row seats to the live webinar February 25, 2016. Will you be there? All you have to do is register on Presonus site and be apart of this great experience as it goes down. If you can’t make it out, NO WORRIES. We will be covering some of the highlights in our #ASU show later that same day with our thoughts about the updates. Ever wanted to learn how to make a beat in Maschine? Trust us, there is a bunch of people like you. There are many blogs and videos floating on the internet today about how to use Native Instruments Maschine. Our goal is not to replicate what was already done. Our goal is to honestly help you understand how the Maschine works. Our teaching technique allows you to digest the knowledge in a way that feels good, said our several YouTube viewers. We can not make this stuff up. No worries, you’re in good hands. Learning is always fun with us. ?? In our course, we guide you from the point of turning on your Maschine to exporting your song to your clients. You like using effects? No problem. 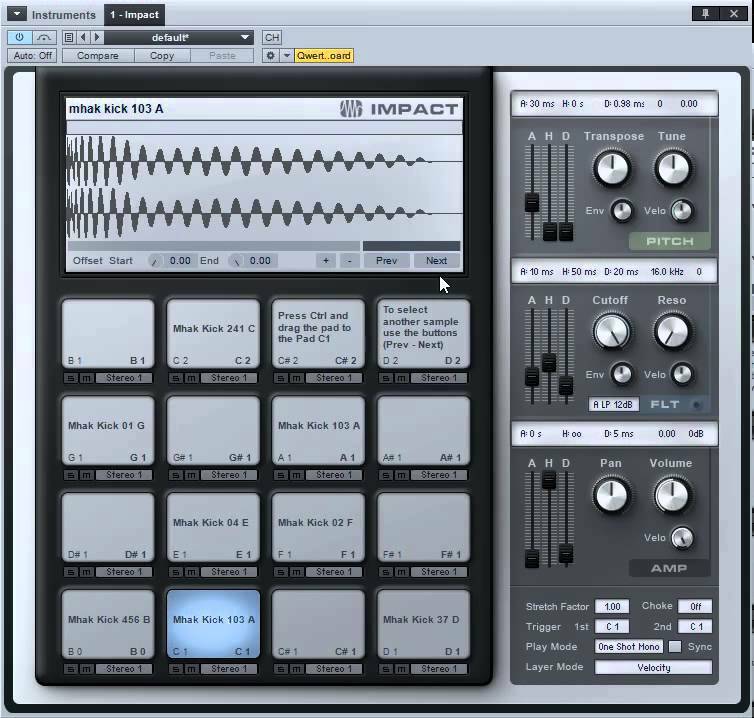 Some of our viewers ask if we can show how to use the Maschine as a plugin in a DAW. Demonstration granted. Note: We chose to demonstrate this in Studio One 3, but the conscpt remains the same for any DAW that supports third party plugins. After you got your drum pattern locked in via midi, you want to be able to mix them individually. You may want to add compression on your kick or reverb on your clap. You may want to process equalization on your Hi Hats a bit better using third party VST or AU plugins. It’s really easy to do this in Studio One 3 by right clicking on your midi region and select Explode Pitches To Tracks. We’ve been doing things the long way but now we are experts lol. Check us out in the video. Super easy I’m telling you! Playing around with Studio One 3 sample loops can be very fun. They can also help speed up the workflow. Sample loops introduces new and inspired ideas to the mix. All we had to do was add a bass line and a melody. “Mixing is an Art” as our good friend Johnny B. always say. On our Art of Soundd live show, mixing acoustic drums is the subject. The drums is the heart of the song so it must be recorded and mixed properly. There are many ways to achieve a good sound. We know a few ways to do so. Our focus is to show a few techniques we learned since the new DAW switch to Studio One 3. The Soundd Box. Live Event July 23, 2015 @ 12noon CST. Video also available as archive after the event.